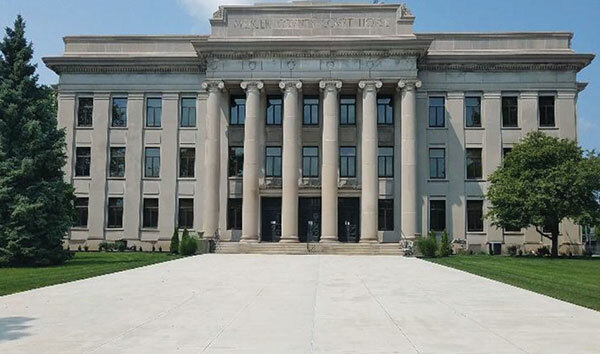 Mercer County Courthouse Project | Oak Ridge Foam & Coating Systems Inc. 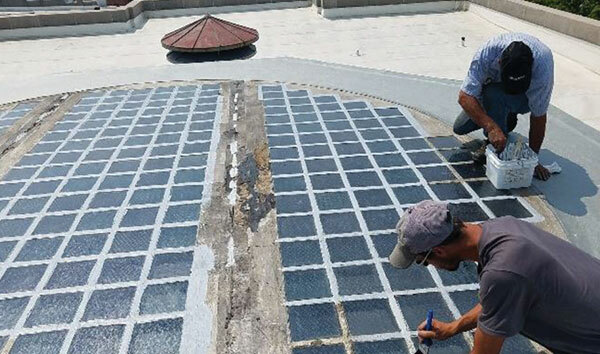 The Courthouse in Mercer County, Ohio, was leaking and damaging the newly restored entrance. The Courthouse is an historic, active and beautiful building in downtown, Celina, OH. 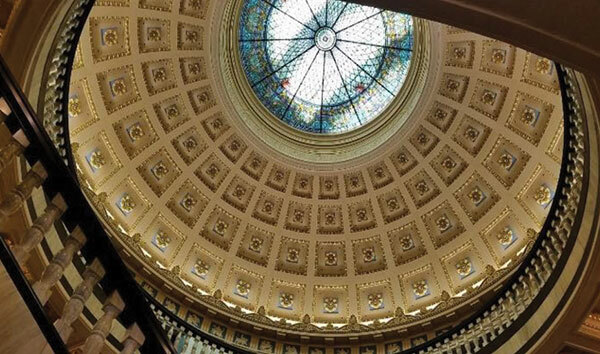 The Antechambre includes a circular marble staircase, and multiple storied mezzanine and is the centerpiece of the Mercer County Courthouse building. When the Antechambre dome began leaking they found it very difficult to find a reliable solution. 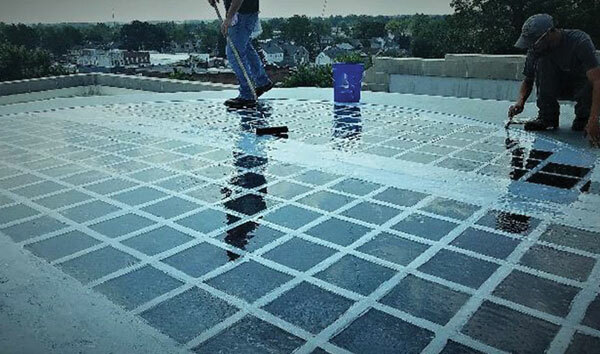 After contacting Gary Spain of Ohio & Indiana Roofing (as well as several other contractors who did not offer any solutions), Gary consulted with Steve Eddy Associates to help determine a good solution as Gary had recalled training on the uses of Polyurea at a local architectural firm. After interviewing county maintenance supervisor, then inspecting the project, He wondered if Oak Ridge OR75DCL aliphatic-polyaspartic clear membrane would be a good solution. 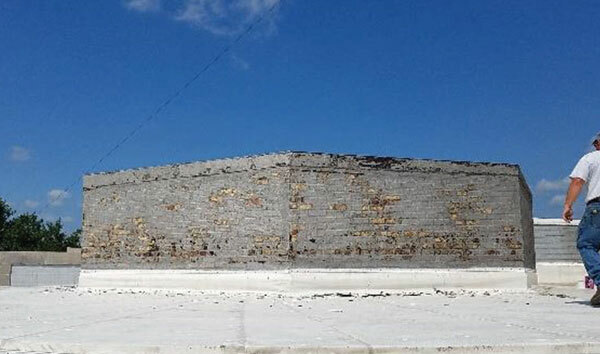 There was a safety glass covering of the sky-lite that was as old as the building (over 100 years old). 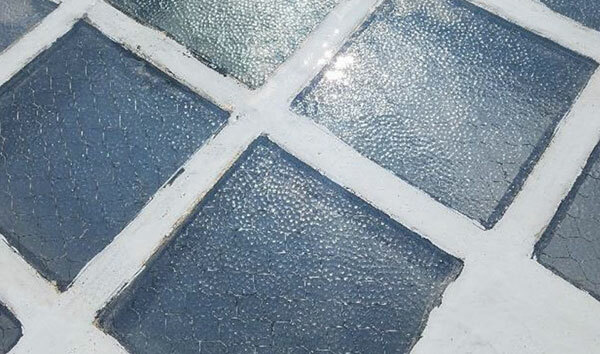 There was grout missing, cracked glass, and numerous failed attempts at patching. Steve Eddy Associates agreed to the solution and wrote specifications for keeping the existing structure, without jeopardizing day to day operations on the interior the Courthouse and covering the glass block and joints with 80 mils of OR75DCL, an Oak Ridge product, that could include a warranty against leaks for as many as 20 years. 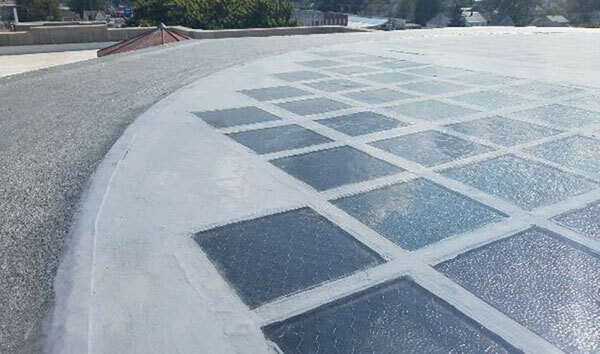 Ohio & Indiana Roofing was awarded the project and proceeded to prepare the surface to accept the completely clear, non-yellowing, fast cure product. First the surface was cleaned with 4500 psi detergent orbital power-wash. Then the surfaces that were not sound were physically removed by hand scraping then cleaned with Oak Ridge’s OR411 cleaning agent. 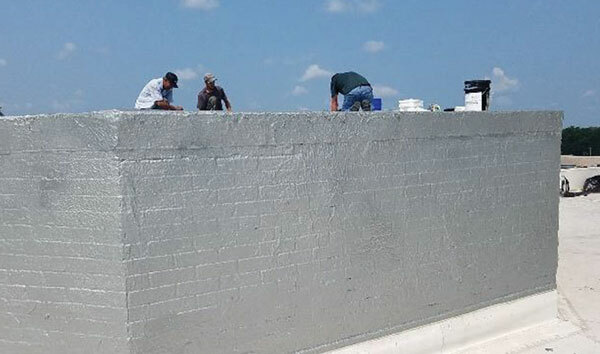 After it was clean the pedestal was masked and covered with OR93SLM Roofing grade Polyurea via high pressure equipment. 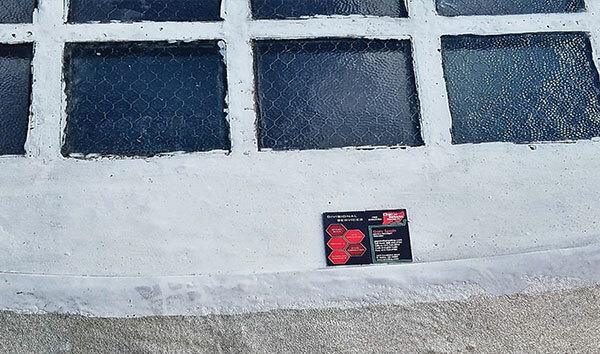 In order to get a consistent line and adequate depth for the clear coating, wire-tape masking tape cut a straight line. 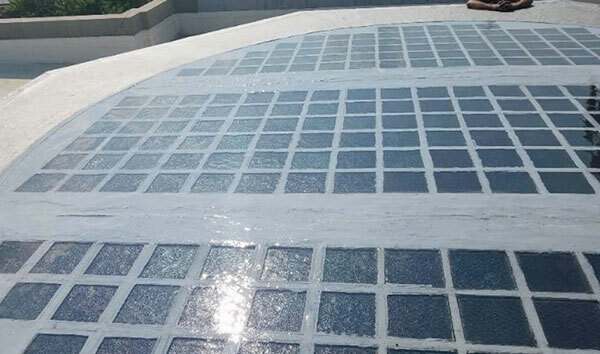 After final preparation the surfaces were inspected by Steve Eddy Associates and approved, Indiana & Ohio Roofing crew applied OR-E41 epoxy primer on all but the glass surfaces. 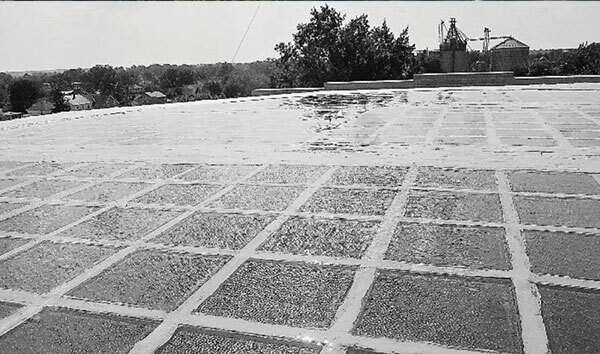 Then the first 40 mil layer of the OR75DCL clear coating was applied, and allowed to cure for ½ hour. 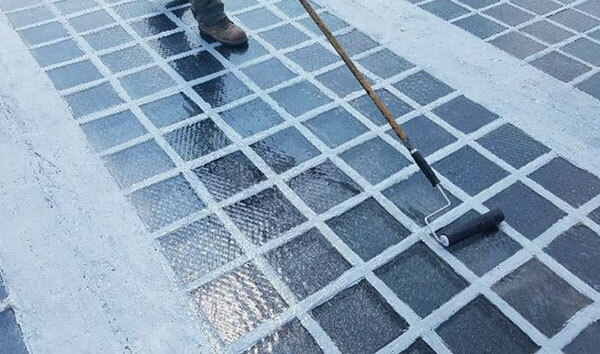 Then the final 40 mils was applied via roller on the complete area, overlapping the roof membrane by approximately 3”. After another ½ hour it is ready for foot traffic. The final results look like this.